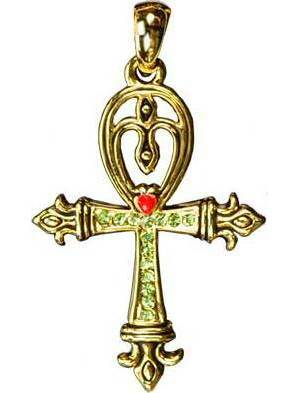 A beautiful and bejeweled ankh with fleur de lis embellishments at the base and cross member ends. Has 24" chain. Brass plated pewter. 2" x 1"